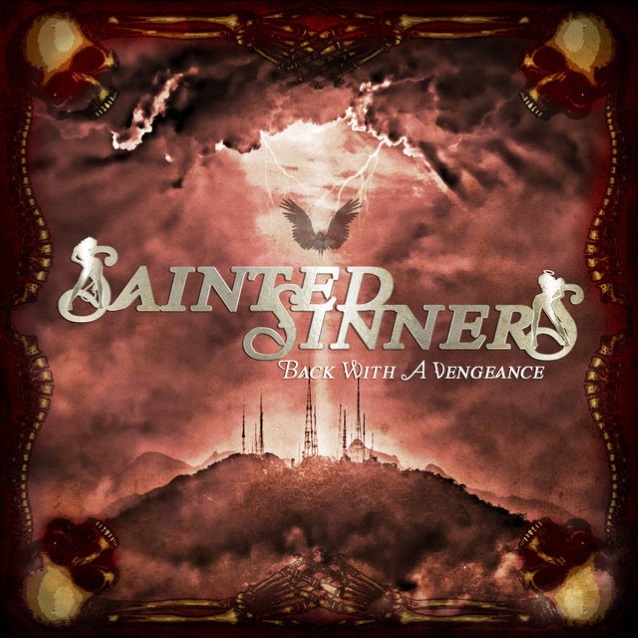 SAINTED SINNERS, the band featuring former ACCEPT singer David Reece, will release its second album, “Back With A Vengeance”, on February 16, 2018 via El Puerto Records. Expressing the “pure essence of rock ‘n’ roll” was the ambition that paired those four well-known and experienced musicians together in early 2016 to create and play the music which is deeply inside their hearts and in their blood. The love for rock legends, such as DEEP PURPLE, LED ZEPPELIN, RAINBOW, WHITESNAKE, UFO, BLACK SABBATH, VAN HALEN and many others, built the cornerstone for the music of the new founded quartet called SAINTED SINNERS. Fronted by the unique, soul-driven voice of American-born vocalist David Reece and highly gifted guitar player Frank Pané (BONFIRE), SAINTED SINNERS got completed by the dynamic rhythm section of the two former PURPENDICULAR members Malte Frederik Burkert (bass) and the Hungarian drum maestro Berci Hirleman. The keyboards on “Back With A Vengeance” were handled by guest musicians Angel Vafeiadis and Eric Ragno, who is known for his work with Alice Cooper, Paul Stanley (KISS) and Billy Gibbons (ZZ TOP).